Dear Arnies Airsoft news, Hello and welcome to the Christmas GMA newsletter. Ooops again, we missed Novembers news letter but we’re here now. What a couple of mad months, with the forum being hacked and down for nearly 2 weeks and tyres being stolen…no really tyres…please help yourself! December has come just in time. November was busy as hell with games going on everywhere across Gunman and we got to play on a new event venue in Hertfordshire. 165acres of mixed woodland, forest and fields, with tracks for vehicles all around it! Awesome is all I can say. As always a huge thanks to all of you for your support, especially as the weather has been shocking and guys still need their GMA fix. Next year will see the new GUNMAN Gold Membership starting 1st Jan. Cost £50 a month – paid via S/O from your bank on the 1st of every month. • Shoot all you can at any GUNMAN Airsoft open day weekends. • Up to £20 off any GUNMAN event or FILMSIM main event ran at a Gunman site. • Discount on pre-ordered BBs and Pyro. • A GUNMAN Gold Card (you will need to supply a passport size photo) which will validate you as an air softer. You MUST sign up for a minimum of 6 months a time and make a guaranteed payment for those 6 months, after that you can choose to opt out and go back to pay as you go. Your Membership will still be valid until renewal! G&G products M.E.T. and GK5C is available now. For the price, please contact the local distributors. This is G&G monthly Lucky Draw video. The Winner is Mathurin Flavien from France to win a GR16 CQW RUSH DST! Hi Arnies! As I’m sure everybody is aware by now, Christmas is just around the corner. Problem is, we’ve got bad guys in our house who are bent on ruining Christmas for all the good boys and girls! Last year, the men and women of Taskforce: Hammer rescued Santa Claus, stopped the devious plan to send a bomb to the president of the United States, and saved Christmas for everybody! This year, the bad guys have come up with their most harrowing scheme yet! So join Taskforce: Hammer on the 16th of December at Spec Ops Airsoft: The Rock and save Christmas once more… The weather outside might be frightful, but this is gonna get hot! Additionally, if we get 50 or more paying players to Spec Ops Airsoft: Operation Christmas Crisis II – Bad Santa, we’ll give away a brand new pistol. If we get 75 paying players of more, that prize will be upgraded to a brand new AEG! You get one raffle entry just for turning up… but if you want to increase your odds of winning then click on this link and download the voucher. Bringing it with you on the day gets you one extra raffle entry! But it gets better… Share this with your friends and for everyone that signs up, we’ll give you another entry in the draw – even if they don’t play (of course you have to!). And for every one of them that does come along and play then we’ll give you another entry. So do the maths – if you spread the word to 10 people and then persuade 4 of them to come along to the game then you’ll get 14 draw entries (10+4). Add that to the 2 you get for playing as well and you have 16 chances of winning. All you have to do is sign up and then spread the word by using the share buttons on the buddy-buy website. Facebook, twitter, good old fashioned email, it doesnt matter how you do it! And once your friends sign up, they can start increasing their chances! My 2nd son was born today, and I didn’t have a chance to prepare anything in advance for the blog today, but luckily I have a number of selfless friends and one of them, Dave Bakholdin (Airsoft Report, LLC), graciously agreed to take some time out of his busy schedule today to come up with something for you wonderful readers to feast upon. To simulate live fire function after exposure to blowing dust, we loaded five each USGI Tan Follower and PMAG GEN M3 magazines, dusted them for two hours with TOP and MIL-STD specified dust, and then full auto live fire tested them in an HK 416. The APS HYBRiD Gear Box is a new bench mark in the airsoft industry due to the fact it offers a reliable electric blow back function with a locking bolt catch and to make it even easier to upgrade it uses a quick change spring guide. The electric blow back function uses the movement of the piston to pull back and match the cycling of the piston to add the realistic bolt movement. This does not strain the motor or gears in any way since the moving bolt is a light weight alloy and the reinforced gears that are housed in 8mm steel bushings are ready for a lifetime of shooting. the HYBRiD gearbox is producing over 360 fps with a .20 Echo1 BB and can be easily be upgraded or downgraded with the quick change spring guide. The spring guide is made out of steel and uses a set of bearings to allow a smoother cycle of the gearbox. Overall the APS HYBRiD gearbox for the M4 is a solid investment will all the features you could need while keeping the cost reasonable. Airsoft is a fun sport that can be played casually or competitively, depending on your type of game play, tactical gear load outs may be different. Whether you’re going for a light weight setup or a military-infused setup, airsoft can still be played. In this video we show you 3 of the most common airsoft loadouts that we’ve seen throughout the years. There are probably just as many airsoft optics, scopes and sights as there are airsoft guns, so choosing one maybe confusing. In this video we show you several different optics and what airsoft gun/situation they’re best used with. With such a large selection of batteries and power sources for your airsoft electric guns (AEGs), it can be extremely confusing to choose which one best suits your needs. In this video we break it down and show you all the different types of batteries and chargers that we carry and help you find the one that fits your AEG. 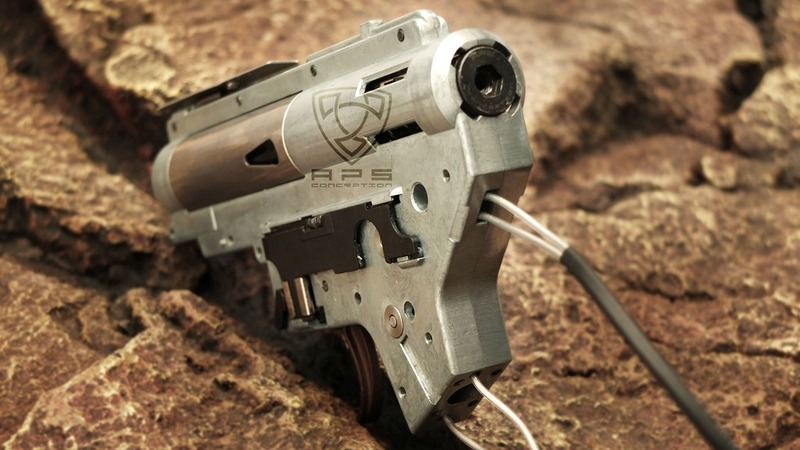 This gun is a thing of beauty. There will only be 350 of these things made worldwide. Once they’re gone they’re gone so you had better get your orders in for them pronto. This gun is OEM by VFC so you know it’s made of the highest quality materials, and the officially licensed HK logos all over this gun are amazing. Los snipers, esa raza de jugadores desconocida siempre al acecho de la eliminación limpia de un disparo, ocultos en el campo de batalla esperando su momento, airsofters dotados de una predisposición innata a uno de los roles más simples y más complicados que existen, a partir de ahora cuentan con una baza para los que se atrevan a llevar su juego a otro nivel. Os presentamos el ASW338LM. Aquí os enseñamos la mejor cara de este G33 de ICS, la primera réplica de G36 que produce el fabricante taiwanés y que os mostramos en exclusiva en este vídeo de presentación. – Full Metal Construction. Everything that should be metal is metal. (barrel assembly, body, magazine, stock, body pins, sight. – AEG Barrel. One piece outer barrel. This AEG might be IDENTICAL to another M60 that retails for a lot more, but it is the best M60 you can get under $500 hands down. All the reviews will tell you so simply because A&K is the OEM manufacturer for all the other M60s on the market. Which means "better performance" at a "better price". It is reliable, realistic, nicely finished, accurate, powerful, easy to upgrade/repair and super affordable (considering the not as good models used to retail for $1000). This M60 is a replica of the heavy machine gun used by U.S. special force troops in real combat to supply heavy firing. It is equipped with a super capacity box magazine and is commonly used to secure an area or to provide serious heavy firing in Airsoft combats. The A&K M60 is full metal with built in bipod and redesigned 8mm gearbox and hop-up chamber. It is an out of the box ready to go heavy firing support machine gun! The TOP, CA and other M60 normally costs from $600 ~ $1000 without the box magazine, reliability and upgrade-ability! So this winter i will be building test builds and seeing what parts work with what in order to give you a good winter pistol. I apologize for messing up on the whole valve knocker/BBU thing. I was a bit short on time which is the reason i’m stuttering a lot throughout the video. Also, just after finishing the edit on the video, i learned that the nineball router works by making a tighter seal in the gas port above the mag, which keeps gas from escaping. Airsoft GI – We Want Your Opinion! In this Episode of GITV Josh’s asks you the fans what type of combat videos you want to see! If it be action packed with music or more behind the scenes of airsoft we want to bring you the best content we can. Let us know in the comments below what you want to see. Same rules as game 1. Team 1 has to find to team 2. Team 1 has no respawns and team 2 has unlimited respawns. A few rounds in the Comet tier 7 British medium! The new G&G GR-16 Blowback Sportline Carbine Ver. 4 is everything you could want from your M4 and more, for a great price. G&G stock externals are of better quality and more aesthetically pleasing that most after market upgrade parts. Th GR-16 features a full metal body and gearbox. 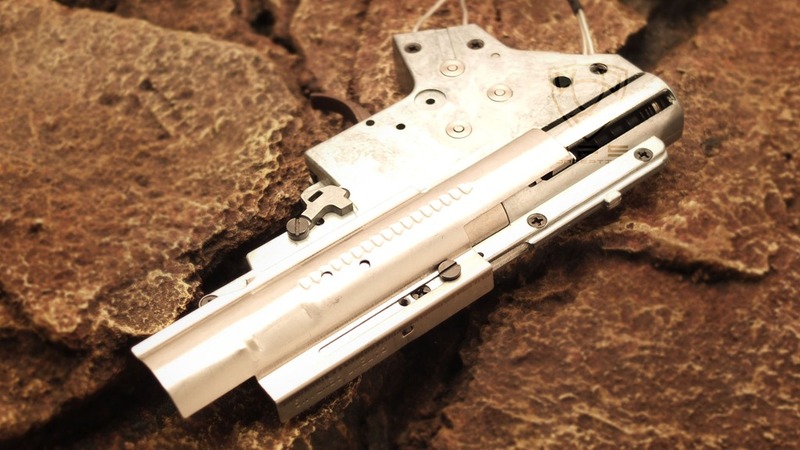 One piece metal barrel that is securely fastened to the upper receiver. The retractable LE stock is made of a hard, durable abs plastic. 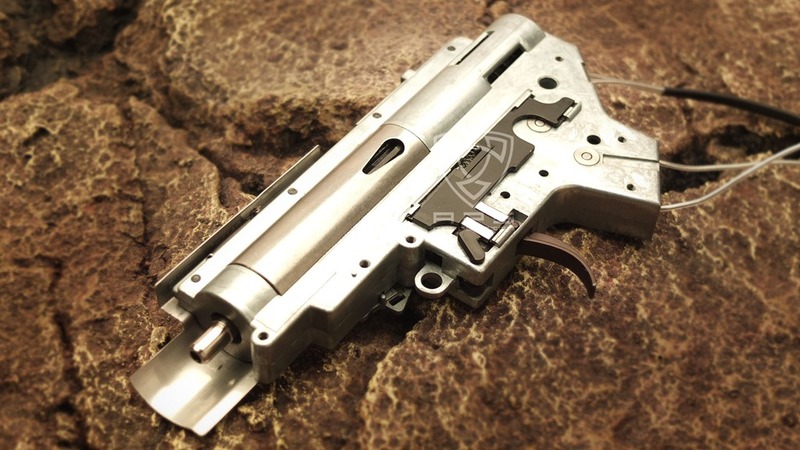 The removable carry handle is metal with full adjustable rear iron sight. G&G tastefully etched the full COLT trademarks, model, and serial number on the mag well. Plus, the GR-16 comes with something no other M4 does, a sling adapter in front of the buffer tube just behind the body. Therefor the user has a choice if they want their sling attached to the end of their stock of if they want it closer to the body. 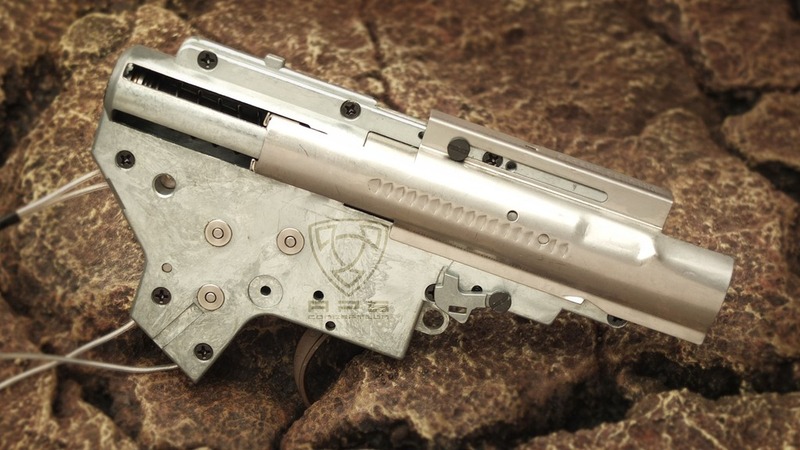 G&G is on their way to setting a new precedent of top quality AEGs. Today we have a brief teaser for a very interesting new product, the Goblin Solo Paintball/Airsoft Pistol. 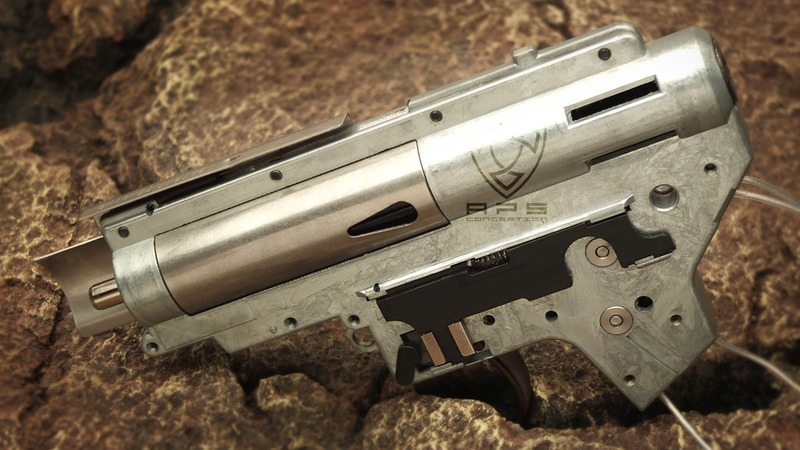 This is basically a sidearm capable of firing both paintballs and airsoft BBs, as you will see in the video. Cold obviously hinders its performance though! The J-tech Modular Medical Backpack-II is a multi-functional, highly organized, highly versatile, light weight medical pack. The front of the backpack is equipped with a large draw string pouch that expands to carry a high volume of items. It is secured by a draw string and an overlapping hood with two adjustable YKK Buckles. The top pouch can further be secured with two sets of horizontal YKK buckles that run front to rear. The interior of the pack can be zippered down and opened to reveal two halves of the backpack. One side features a large zippered pocket and 4 smaller pockets. The other half is the main storage area that features fully adjustable padded dividers to compartmentalize medical supplies and equipment. Medical items are safely secured into place by a thick mesh layer of netting that lies over the entire compartment. The walls of the interior are aligned with Velcro the give the user the option of a customized layout. It features a firm yet soft back padding with an added layer devoted to the upper shoulders, “D-Ring” padded shoulder straps, a double stitched carrying handle, Sternum strap, and a hydration pouch insert pocket. The Modular medical Backpack-II comes with multiple buckles, loops, Velcro areas to safely secure items. It is one of the most highly organized medical backpacks ever made. – Large front pouch with drawstring and overlap hood. The APS HYBRiD Gear Box is a new bench mark in the airsoft industry due to the fact it offers a reliable electric blow back function with a locking bolt catch and to make it even easier to upgrade it uses a quick change spring guide. The electric blow back function uses the movement of the piston to pull back and match the cycling of the piston to add the realistic bolt movement. This does not strain the motor or gears in any way since the moving bolt is a light weight alloy and the reinforced gears that are housed in 8mm steel bushings are ready for a lifetime of shooting. the HYBRiD gearbox is producing over 360 fps with a .20 Echo1 BB and can be easily be upgraded or downgraded with the quick change spring guide. The spring guide is made out of steel and uses a set of bearings to allow a smoother cycle of the gearbox. Overall the APS HYBRiD gearbox for the M4 is a solid investment will all the features you could need while keeping the cost reasonable. The new APS HYBRiD Gearbox will be available soon from Jag Precision Airsoft Wholesale and Distribution. For new dealer inquiries and product info, please visit http://jagprecision.com. 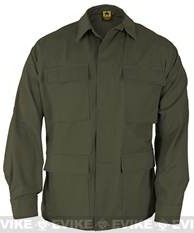 The jacket is ideal for use on ranges and allows easy access to belt kit or holstered accessories and pistols of course. 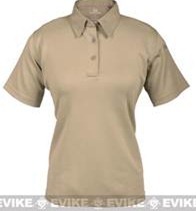 Propper uniforms and apparel can now be found here at Evike! 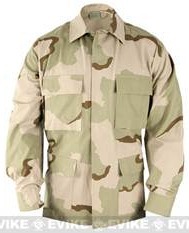 Now, Evike.com carries the Propper Uniform for your situational needs. 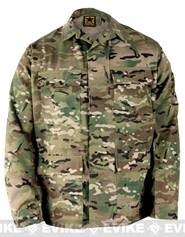 As one of the largest official suppliers of apparel to the United States armed forces, PROPPER INTERNATIONAL™ has proudly manufactured more than 120 million garments for the U.S. Department of Defense – Army, Air Force, Navy, Marines, Coast Guard and Special Forces. 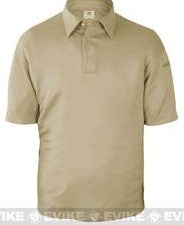 PROPPER also manufactures high-quality apparel for the commercial military, tactical, law enforcement and public safety markets. PROPPER commercial products are distributed through more than 3,000 military, law enforcement and specialty retail stores and websites worldwide. PROPPER INTERNATIONAL was founded in 1967 by William T. Propper, an entrepreneur with a talent for innovation and a passion for manufacturing. Through hard work, and a dedicated staff, PROPPER INTERNATIONAL grew its business as well as its reputation for quality. PROPPER eventually landed its first government contract with the U.S. Navy, manufacturing caps known as "Dixie cups". Today, PROPPER remains committed to manufacturing the highest quality apparel for every customer we serve. We are one of the few apparel manufacturers to earn an ISO 9001:2008 quality rating from the British Standards Institute, which reflects our uncompromising system of quality assurance. This commitment has earned PROPPER a long standing record of success, as well as a legacy of functional, durable apparel. Evike.com carries a wide variety of patterns ranging from the old style 3 color pattern of deset and woodland to the digital variants such as MARPAT, Multi-cam to A-TACS. Pro Airsoft Supplies 1,000 likes reached within 24 hours! We’ve been BLOWN AWAY by the response to our competition! We’re announcing a winner at 6pm today, so keep your eyes peeled for that, but in the meantime, we’ve decided that given the awesome level of support we’ve gotten from you guys we’re going to go for 2,000! Same rules apply, the winner will be randomly selected as they will be for the 1,000. Thanks for the support guys, and let all your friends know! 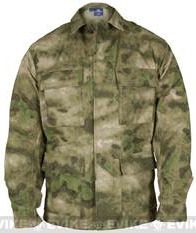 0241Tactical has numerous tactical products ready for immediate shipping! MARPAT, A-TACS FG & AU, CADPAT, Brown Dominant ERDL, and All Terrain Tiger products ready for shipment! Cold Weather A-TACS AU & FG items now available! New Green Dominant ERDL products coming in December!! Check us out for great, low cost, fast shipping stocking stuffers and excellent finishing touches for the tactical minded person on your gift list!